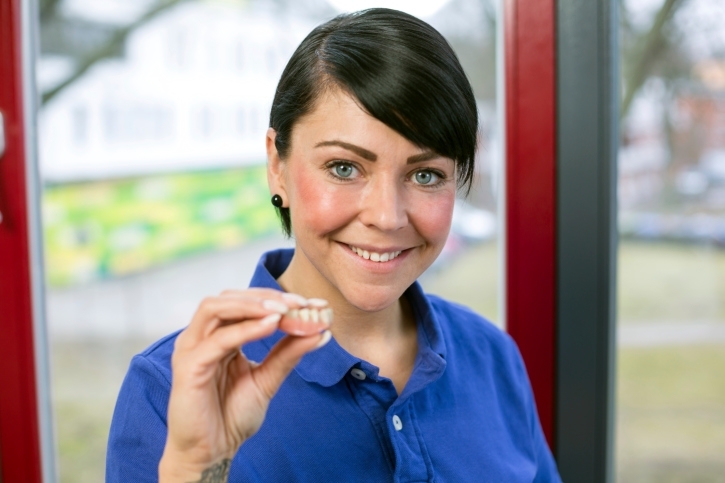 Dentures and Implants both serve the same purpose: they replace missing teeth. Having a healthy smile boosts your confidence and can feel great. The two most effective methods for replacing missing teeth to restore that great smile are dental implants and dentures. Different people will find that the best choice for them will vary. It’s best to talk to your dentist about what options are available to you so that you can make an informed choice. Drifting of Remaining Teeth – teeth tend to shift in the mouth when a space is left in the mouth by a missing tooth. As they shift, they become crooked and leave spaces between teeth. This not only effects the shape of the jaw and cheeks, but also allows larger food particles to be trapped between the teeth. Bone Loss – when the area of a missing tooth goes unused… no chewing or stimulation… the bone around the area diminishes. Bone loss has an impact on the way the face and mouth look (the “puckering” or “collapsing” of the cheek and mouth that occurs when a tooth is missing) and also makes it more difficult to place implants. Quality of Life – putting a hand over your mouth to hide a smile, feeling awkward and embarrassed in social settings, are very real consequences of tooth loss, and just as serious as the physical consequences that result from having missing teeth. Replacing missing teeth is a step toward taking care of your health and well-being. The decision about how to replace missing teeth is an important one. Having as much information as possible, and getting the input of an experienced dentist, will help you make a good decision. Creating dentures is both a science and an art. 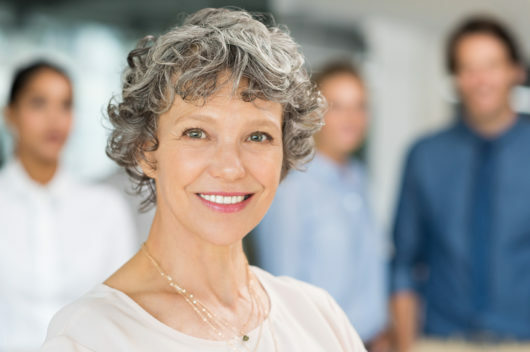 Modern materials and techniques contribute to the great look and comfortable feel that dentures can provide. Full Dentures are made to replace all upper, lower or upper and lower teeth. Partial Dentures are made to fit on to existing teeth, and can be removed and cleaned at home. Facelifting Dentures are similar to regular dentures but are fashioned to stimulate the muscles of the jaw, which helps to encourage regrowth of tissue, decrease bone loss and improve the appearance of the face and jaw. A Dental Bridge, although not the same as what is usually thought of as a denture, is an good option for many patients. It fills the space where a tooth is missing. It is considered “permanent” because it can only be removed by a dentist but is cared for in the same way that regular teeth are cared for. Unlike implants, which must be anchored to bone, dentures can be placed in patients who have experienced bone and gum loss. The procedure for fitting dentures is non-invasive and drilling into the bone is not required, as it is with implants. Dentures can be made relatively quickly, and require only about 4 dental visits. Our office has an onsite laboratory to make the process, not only faster, but better and easier. Dentures may have to be adjusted or replaced as the structure of your face and gums change with age. Dentures take some getting used to, especially during the first day or two of wearing them, causing increased salivation, difficulty chewing and speaking. Just like regular teeth, dentures need daily care. If not cared for properly, infection around the mouth and gums can occur. Dental Implants are a permanent solution to replace a missing tooth or missing teeth. Implants are like natural teeth, they require the same care, and are likely to last you a lifetime. They also help maintain the structure of your jaw, preventing the sunken in facial appearance often seen in patients with tooth loss. Implants are what most dentists would recommend if it is at all possible for a patient to have them. A titanium post is placed in the bone, to act as an anchor, and a new tooth is placed on top of the post. The procedure takes a high level of expertise to do properly and safely. It is best to have the implants done by a skilled prosthodontist. 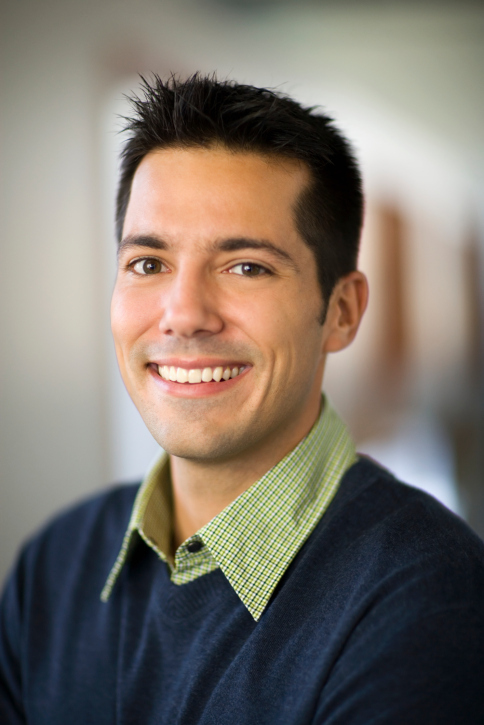 Dr. Stone teaches implant dentistry to other dentists and has many years of experience placing dental implants. Dental Implants have a better than 95% success rate. Dental Implants last 20 or more years. Implants are as easy to care for as regular teeth. Implants preserve the integrity of the facial structure and jaw bones. Implants act like regular teeth and allow the bone to continue to grow. 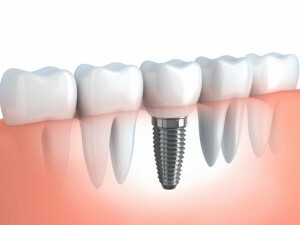 It is possible to get dental implants in one day, although the procedure does require follow-up. Dental Implants are, initially, more costly than dentures , although a study done for Washington Dental Service, the largest insurance carrier in Washington State, found that over a five-year period the maintenance costs for people with bridges were higher than for those who had implants. Not everyone is a candidate for dental implants. Implants need healthy bones and gums to secure properly to the jaw. Bone and tissue grafts can be done, which add to the cost of the implant. Dentures and Dental Implants are both great solutions for good health, good looks and feeling good. A great first step toward deciding which procedure is best for you, is by requesting an appointment with Dr. Stone. Our practice also works with CareCredit, a company that allows you to pay for dental procedures in monthly instalments, so you’re able to get your perfect smile back by paying for it in a way that’s still affordable to you.